We have made our selection of photos – not easy trying to select 35 from several hundred possible shots. Inevitably there are people that we would like to have featured but can't include this time. Hopefully on another occasion? We are now busy getting the photos printed and framed ready for the exhibition of my photos@Café de la Promenade. 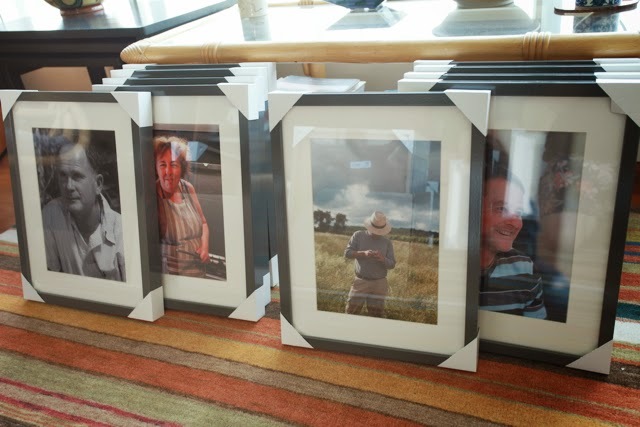 CRM is doing a sterling job – printing, placing photos into frames and storting out picture wires. The plan is to put the exhibition up on Friday afternoon (12th September). We have selected mainly portraits though with a few landscapes. The proceeds will go to La Croix Rouge (The French Red Cross) – the chosen charity for La Bourgueillothérapie this year. A list of photos will follow shortly.